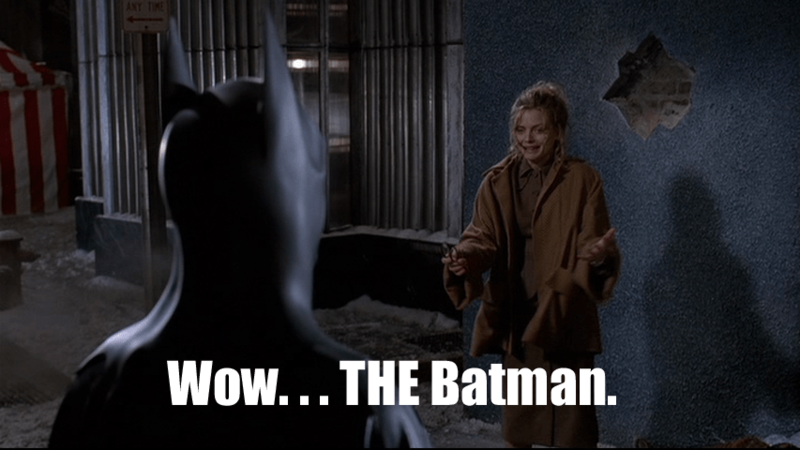 In my particular nerd community, there’s a prevailing dislike of Christopher Nolan’s Batman Begins because it betrays a certain dislike of superheroes. The essential argument is that so much time wouldn’t be spent of making the character “believable” with scenes about how accounting practices were used to hide the purchase of the components that went into making the bat-ears of the Bat-mask if the movie wasn’t trying so hard to admit that it was a comic book superhero movie. Superheroes dress up in costumes and hit people, and this is clearly ludicrous if you look too closely at it. Batman Begins wants to have its cake and eat it too, in this regard, by explaining away or justifying certain ridiculous aspects of the character while hoping your won’t ask too many questions about other ones. Similarly, the film does an admirable job of showing that the character is not simply a single, burning mission, but an amalgam of the values, beliefs, abilities, and resources of those around him. But some people like Batman as an uber-prepared, singular force, and therefore don’t want him to be dependent on Lucius Fox’s engineering skills or Rachel Dawes’ morality. These people also have a difficult relationship with the existence of Robin, who shines a garish, four-color searchlight onto the idea that Batman doesn’t need anyone else. So, who is THE Batman? Can he be a self-reliant vigilante and a caring mentor figure? Can he be a grim, realistic response to urban dehumanization and be pestered by a wacky imp from the 5th dimension? Can he be a meticulous planner, prepared for the most abstruse and diabolical situation AND be unable to stop child abuse? Can the character really contain multitudes, or is he just an easy mask to hang on seventy-five years of middling serial fiction? My THE Batman is as follows: drawn by Alan Davis with Grant Breyfogle’s cape and Neal Adam’s cowl (particularly the ears) and the Rucka-era black-on-grey with practical belt-pouches batsuit. He has Keith Giffen’s bluntness and anger, Frank Miller’s internal monologues, and fights with Grant Morrison’s panache against villains with Alan Grant’s thematic puzzles and backstories. He never kills, never uses a gun, and never forgives himself for not being able to save either his parents… or his own innocence. That’s my THE Batman. Who is yours?